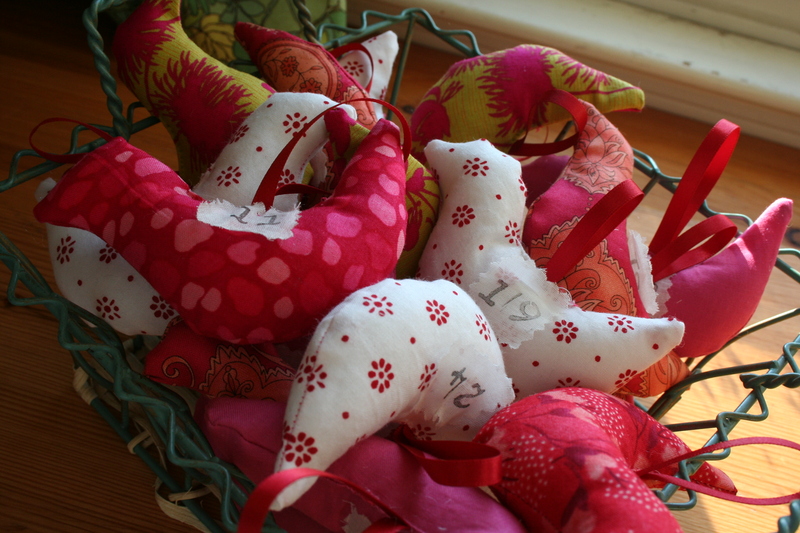 It’s been a busy flurry of handmade activity over in these parts. A lot of it is holiday card orders, but plenty of it is making the gifts and treats and decorations that are so much a part of our holiday traditions. 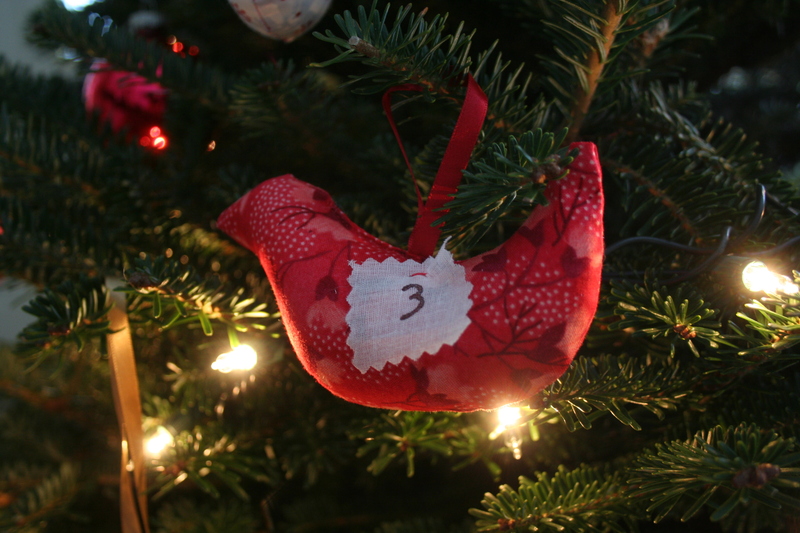 This year, Eli and I started a new tradition: advent birds. 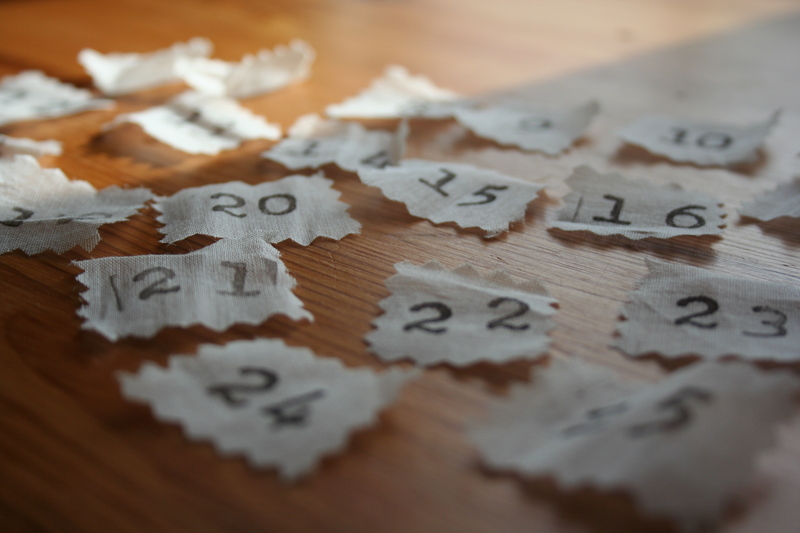 We cut, sewed and stuffed these little fabric cheepies, numbered them (little squares of muslin cut with pinking shears and stamped with a number) and attached a little bit of ribbon. Now Eli gets the thrill of adding a new bird to the tree every day. To continue to implement this tradition of course means that every year from now on we’re going to have to have our tree by December 1st. But that’s really such a good thing, since we’ll get that much longer to enjoy it. 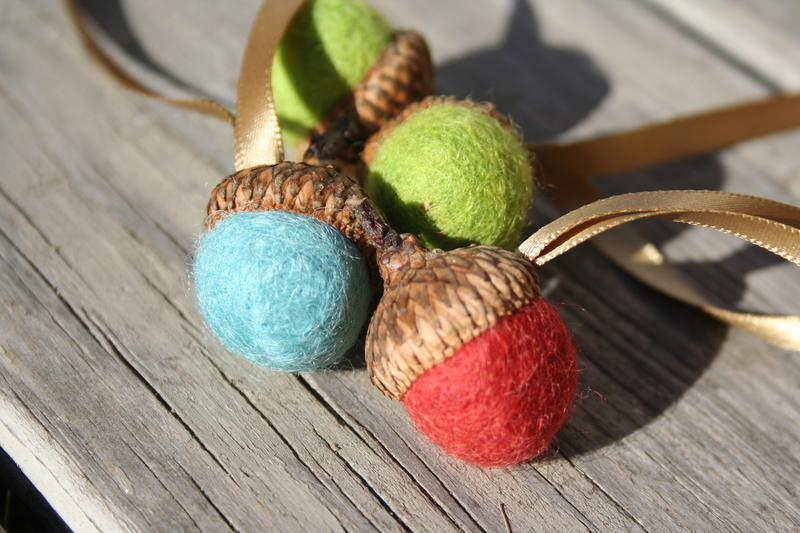 I saw these super-cute little acorn ornaments in a magazine and wanted them right away. 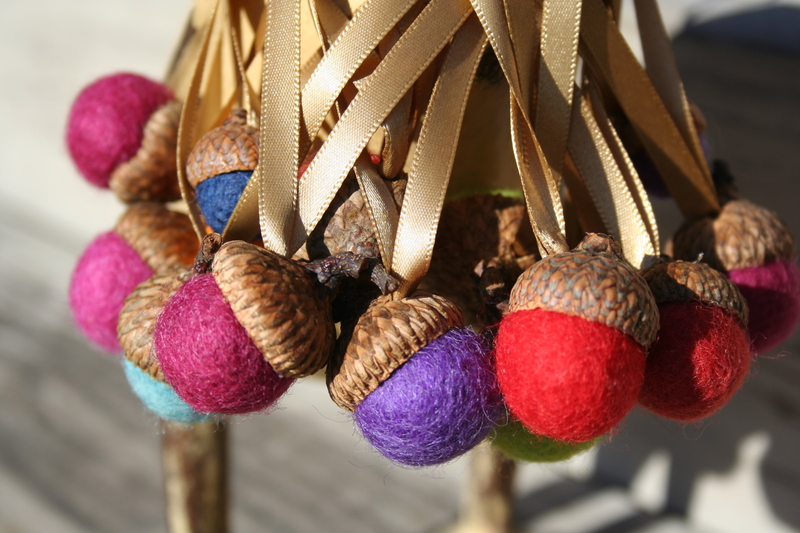 So it was particularly auspicious that I had both a tin of little felted balls and a berry basket full of acorn caps sitting on my desk. 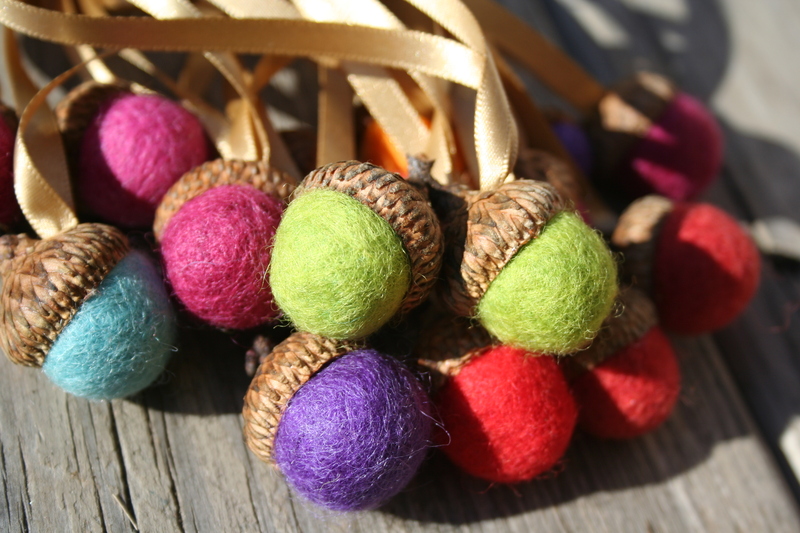 These little cuties are going to really dress up our Christmas tree this year! If you want to make your own acorn ornaments, all I did was hammer a nail through the acorn cap to make a hole for some 1/4″ satin ribbon. Then I used my trusty glue gun to glue in the ends of the ribbon. Another little squeeze of glue and I fit the felt ball right into the cap. That’s it. 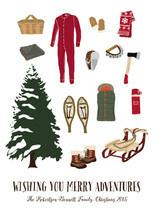 And if you’re not up for any acorn fun right now but would still love some of these, never fear. I’ve seen them all over Etsy. Check out these shops for similar cuties: Fairy Folk, Green Baboon, and kbuchheit to name just a few.